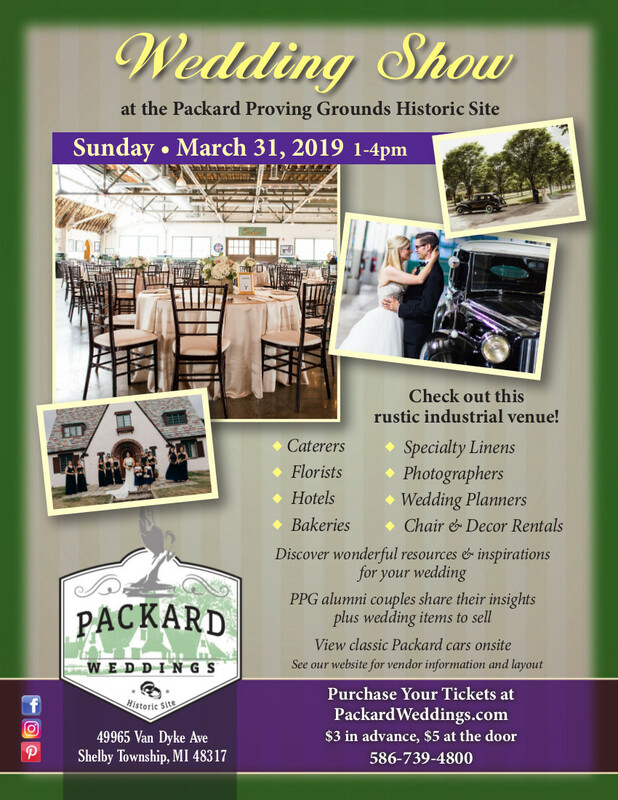 Join us for our 5th annual Wedding show at the Packard Proving Grounds. Take an early walk down the aisle and check out lots of great wedding vendors including caterers, florists, hotels, equipment rental companies, linen rentals, photographers, event and ‘day-of’ planners and designers, bakeries, invitation consultants, salons, musicians, and many more interesting genres of event services and products will be showcased. This is an intimate show with about 60 vendors all gathered at our vintage, rustic industrial site. Couples can attend this event, interact with the vendors and attendees and effectively accomplish quite a few wedding prep tasks in one time and place. This spectacular 17-acre site is rich in Detroit automotive history and was established in 1928 by The Packard Motor Car Company The tree-lined boulevard is adjacent to multiple Albert Kahn designed buildings, and the proceeds from events held on the grounds help with ongoing restoration work at the site. It is listed on the National Register of Historic Places and the Packard Motor Car Foundation is a non-profit 501c3.